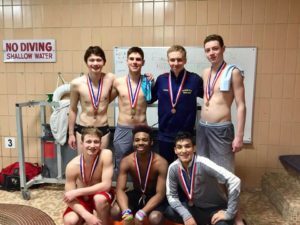 9 Windy City divers competed in the 2018 IHSA Boys State Meet on February 23-24. 7 of these divers placed in the top 12 at the state meet. Congratulations to Kevin Sullivan from Downers Grove North High School on winning the state meet! Windy City Divers who competed in the meet results.